Allan Albee (“Al”), 78, died on January 22, 2019 after a 17 month battle with pancreatic cancer. Allan was born on April 22, 1940 in Jamaica Plain. He was raised and cared for by his grandparents, and often looked after by a woman he fondly remembers with pigtails. He graduated from Needham high school in 1959 where he was somewhat of a track and field legend, having won several state champion titles. He spent several years on a fishing boat, scalloping off of New Bedford and out of Edgartown, and eventually sailed over to Martha’s Vineyard on his friend’s boat, where he spent the remainder of his life, working mostly as a carpenter. Al was an outdoorsman by nature and heart. He had a passion for photography, and was often behind the lense capturing memories. Some of his fondest were moments spent in the woods and on the water. 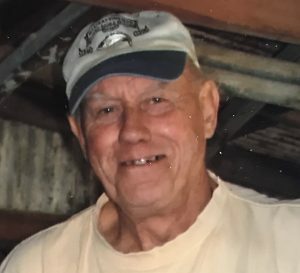 He was an avid bird hunter and enjoyed the company of his lab before moving to the Island. He enjoyed hunting trips that took him to every corner of this country; one of his fondest, a trip to Montana, elk hunting on horseback. A strong individual, Al placed great importance on his physical fitness. He spent several years training in KunTao Silat, and most recently was a member of the CrossFit Martha’s Vineyard family. Allan is survived by his cousins Peter and Patricia Albee, of Massachusetts and Arizona, and his second cousin Bryan Albee of Colorado. He is also survived by many friends who loved and cared for him during his last years, including another woman whom he called his fairy godmother; who often wears her hair in pigtails. A celebration of his life will be held at the Portuguese American Club on Saturday, Feb. 9 from 2-5 pm. Please join us to share stories and memories. Donations in memory of Allan may be made to the “Help us get big Al to his final resting place” fundraiser via Facebook. The post Allan Albee appeared first on The Martha’s Vineyard Times.